Each summer when campers and staff return to Camp Cedar, the joy on their faces says it all. They soak in our beautiful campus with its towering pines and crystal clear lake as they relish their summer “home away from home.” Founded in 1954 with only 37 campers and the dream of creating a summer experience for boys like no other, Cedar has grown gradually and has fulfilled the dream of its founders. Our 270 Campers range in age from 8-15 years old and enjoy a seven week session where they have the best summers of their lives. Even after graduating as campers, Cedar alumni stay close with many ex-campers returning as counselors. Camp Cedar is located on Coffee Pond in Casco, ME about 20 miles northwest of Portland. With its 300 acres of woods, fields and lakefront, Cedar offers a true haven from city living and a real New England experience. Only a short 2.5 hour drive from Boston and less than an hour from the Maine Coast and the majestic White Mountains of New Hampshire, Camp Cedar is the perfect place to spend the summer. 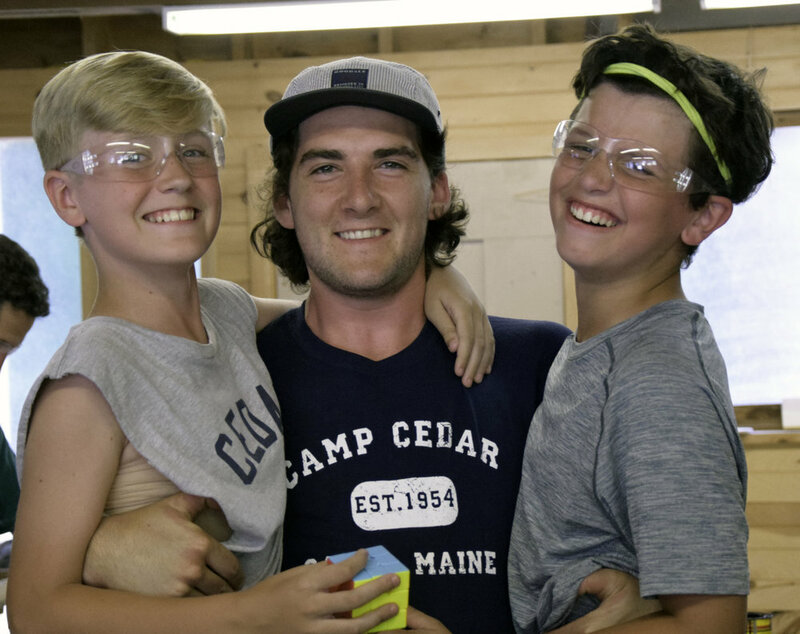 Here you will find all the information you will need to know about Camp Cedar whether you're considering joining the team for the first time or are a returning staff member. In the sections that follow, learn all about what to expect as a member of the Cedar team, apply for a position, find all necessary staff forms as well as detailed information to get you ready to join the Cedar community. As always, please email (jobs@campcedar.com) or give us a call at 888-844-8080 anytime with questions.